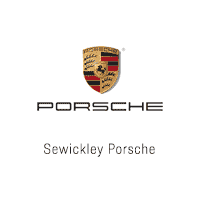 Our factory trained and Porsche certified service team experts are always ready to help you. You can book a service appointment online or call us at 412-749-8499 and one of our Porsche service advisors will be happy to help you set up your appointment. Apart from yourself, nobody knows your Porsche better than the person who developed it. We have adjusted everything to work together perfectly so that you can enjoy the Porsche feel. And so that this feeling lasts for a long time, your Porsche undergoes a thorough examination at the hands of our specialists at every inspection. In case any part of your Porsche should ever need replacing, we recommend that you exclusively make use of genuine Porsche parts. With certain products, you have the choice between new parts and genuine Porsche parts which have been reworked and approved by Porsche. These are not merely more economical for you, but also preserve the environment and natural resources since their overhauling consumes less energy and raw materials than new production. Of course, these exchange parts are genuine Porsche parts – complete with a 2-year warranty.